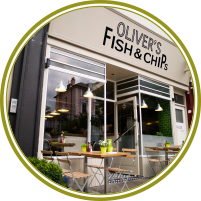 Oliver’s is a unique blend of a traditional Fish and Chip shop with a fresh fish Mediterranean restaurant. 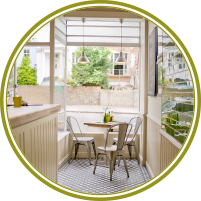 We are here to provide you with a fabulous meal whether it be eat in, takeaway or delivered to your door. 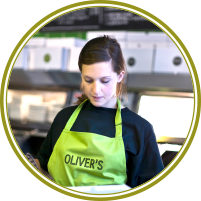 Oliver’s was founded by Mario Budwig out of the desire to bring a fresh, fun yet traditional experience to this Great British meal. 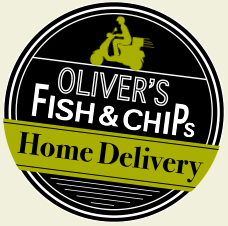 Oliver’s will not only serve great Fish and Chips but will also provide a wide selection of fresh fish daily specials and all our Fish is from sustainable sources. 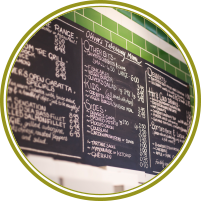 For lighter meals we have a range of tasty fresh salads, grilled fish, plus open ciabatta specials… if you haven’t tasted one of these you haven’t lived!!! 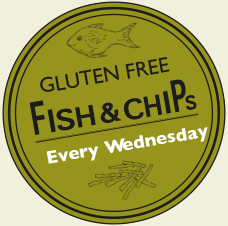 We started our Gluten Free Wednesdays a couple of years ago, and are happy to say that these are now one of our most popular nights enabling everyone to enjoy really great Fish and Chips. We have two talented chefs who between them have over 30 years of experience with fresh meals. Where we can, we will only use recycled or recyclable packaging and fair trade teas and coffee. Our second branch in London Whetstone N20 opened in Sept 2015 to build upon the great reputation of our NW3 Belsize Park restaurant. We hope you enjoy what we have created at Oliver’s, we have certainly enjoyed building it and look forward to be of service.